Koley Jessen's team is driven and entrepreneurial. We are passionate about our work and are committed to helping our clients reach their goals. Here, you have an opportunity to shape the future of the firm and handle sophisticated legal work. Our high-energy team is focused on continuous improvement. We are constantly seeking feedback from our clients and our colleagues in order to ensure we are providing top-notch service and are a great place to work. Whether it is being active on a management committee or leading charitable functions such as the United Way campaign, there are many opportunities to get involved at Koley Jessen. We also host many employee and family events throughout the year. We believe it is important to maintain our small-firm culture as we continue to grow. 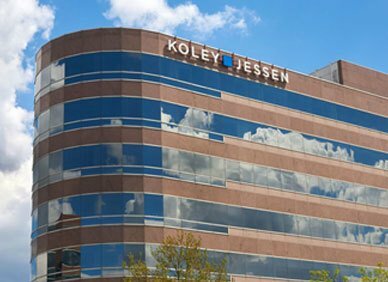 "What sets Koley Jessen apart is its commitment to maintaining a small-firm culture while simultaneously meeting big-law standards in technical expertise and client service."